Love shopping - or even just window shopping? Midosuji, the broad street running north-south through the heart of Minami, is the place for you. With its luxury brand outlets, it’s Osaka’s answer to the Champs-Elysee. Midosuji is a broad, central avenue running north-south through the heart of Osaka’s Minami district. 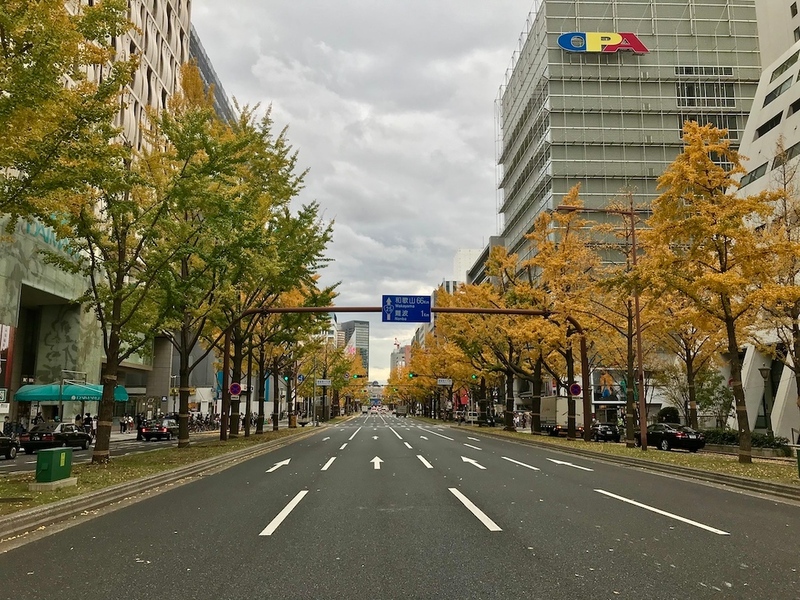 Lined with major international luxury brand outlets, this street is Osaka’s answer to the Champs Elysee. Outlets here include Dior, Chanel, Armani and Louis Vuitton, and you’ll also find the vast Daimaru department store here. The boulevard is around 4km long, and runs through the Umeda, Shinsaibashi, Ame-mura, and Namba districts. 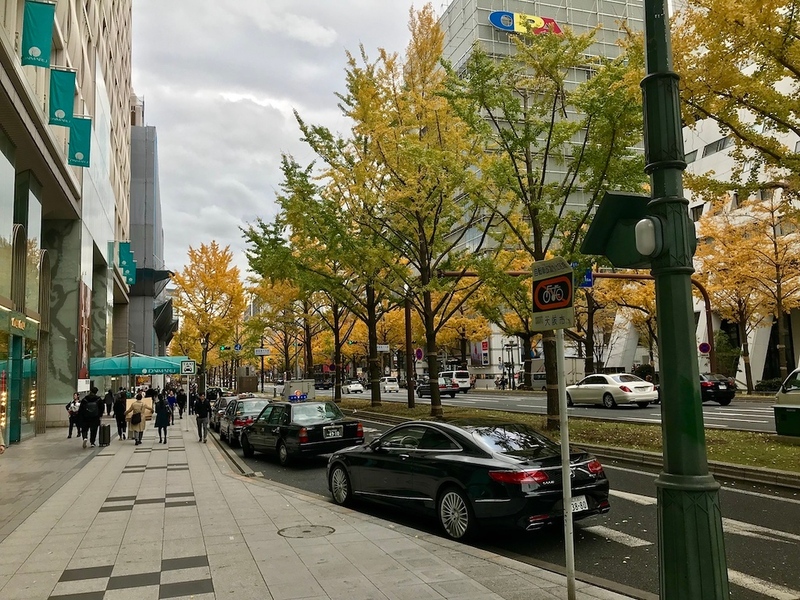 The area running parallel from Shinsaibashi to Horie is particularly popular with shoppers, and the Apple flagship store around this area is always packed with visitors. Needless to say, shopping (or just window shopping) is a lot of fun – not to mention the great people watching! While you can shop anytime, one of the nicest times to visit Midosuji is during autumn. 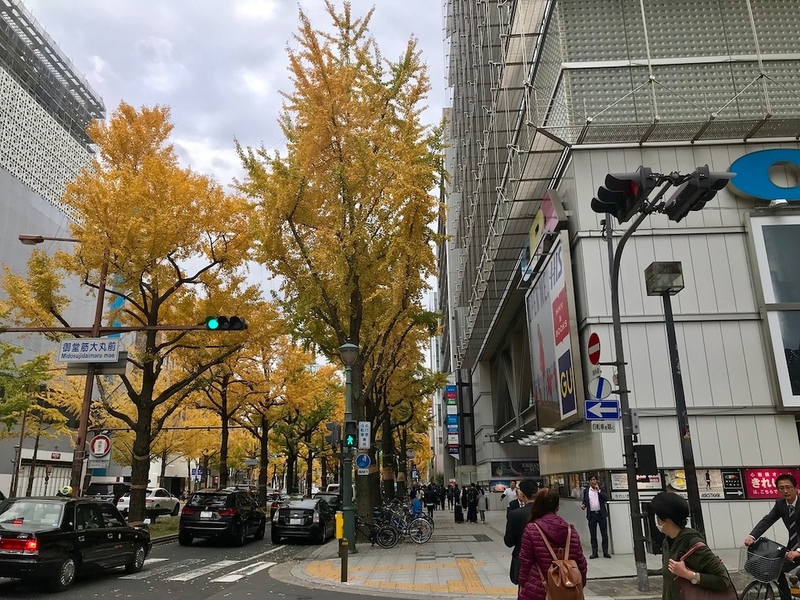 The avenue is lined with gingko trees, and it’s a truly marvellous sight at this time of the year when the leaves turn golden-yellow. Subway: Directly connected to Umeda, Yodoyabashi, Hommachi, Shinsaibashi and Namba Stations on the Osaka Metro Midosuji Line. 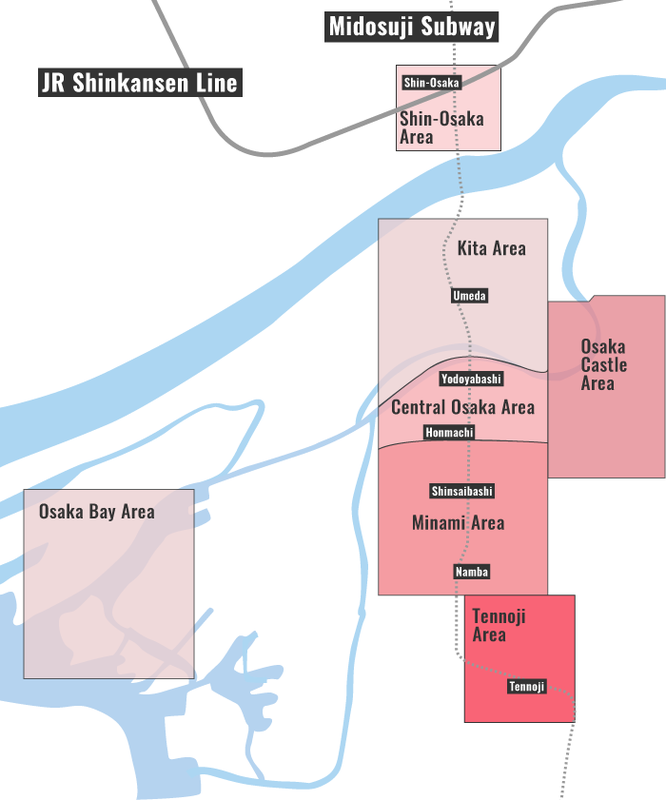 :: Check availability and pricing for hotels near Midosuji Ave on Booking.com or Agoda.com. Midosuji is located in Osaka's Minami district. See our complete list of things to do in the Minami district, including places to eat, nightlife and places to stay.